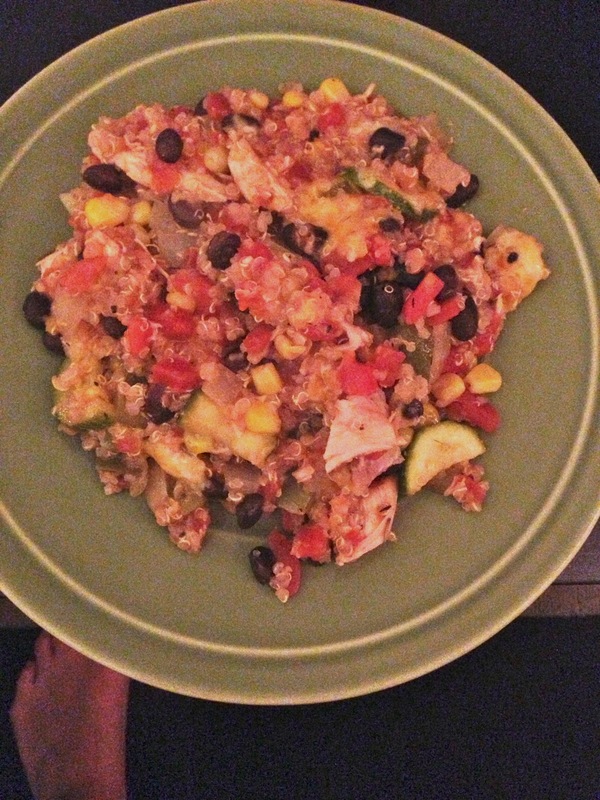 I've recently started cooking with quinoa, and let me tell you, it hasn't been easy. Not really knowing how to cook it or what to cook it with...let's just say I've been struggling. That is, until I came across quite possibly the most fabulous quinoa recipe ever - Crispy Quinoa Bake. I originally found the recipe on The Live-In Kitchen and knew I had to try it out for myself immediately. I made a few updates to make it what I like to call "boyfriend friendly" (which means adding as much meat and cheese as possible) and the result was phenomenal. It got two thumbs up and second helpings from Jack. All in all, I think I did well. 1. Preheat oven to 375 degrees. Spray 9x13 dish with cooking spray. 2. Rinse quinoa in a mesh strainer. Heat 2 teaspoons olive oil in saucepan. Add quinoa and cook (roughly 1 minute). 3. Add chicken stock to quinoa. Stir and bring to a boil, then let simmer on low for 15 minutes. Then, let sit an extra 5 minutes. 4. In the meantime, in another saucepan, add onions and peppers. Season with salt and pepper. Let cook for 7 minutes. 5. Add garlic and zucchini. Cook for 3 more minutes. 6. Place quinoa in a large mixing bowl. 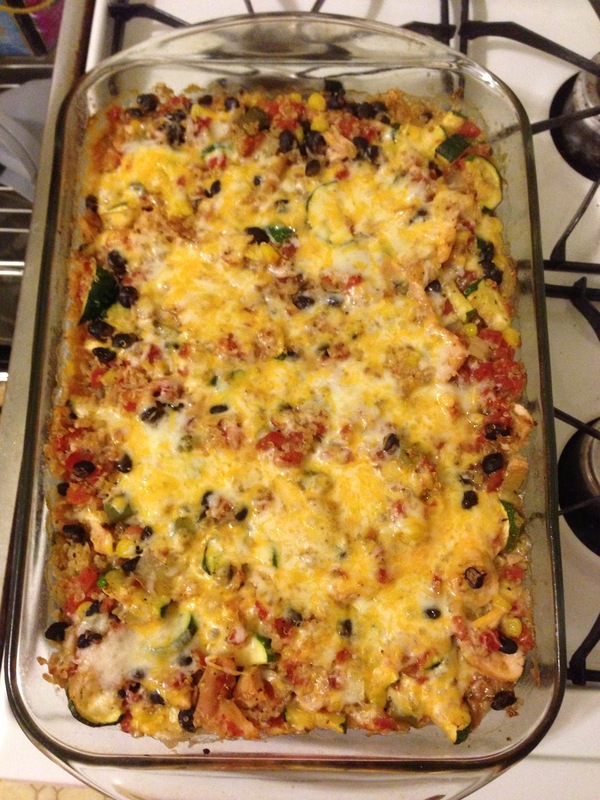 Add cooked vegetables, black beans, tomatoes, chicken, frozen corn, red pepper flakes, oregano and cayenne pepper. Stir well and place in your baking dish. 7. Bake for 30 minutes. Remove dish from the oven and add cheese. Cook for another 10 minutes. Serve and enjoy!